Dawn is the daughter of a famous Pokemon Coordinator. A coordinator is a trainer that mixes stunning displays of pokemon powers with battling to create a sort of dance or show. She began her journey with Piplup and knew from the beginning that she wanted to be a Coordinator. After meeting Ash and Brock, she decided to journey with them, as their experience would likely be helpful to her. With many contests now under her belt, Dawn has become aware that her world is changing. She seems to be one of the only ones paying attention and has set off alone with her pokemon to find out why. Dawn is a skilled trainer and coordinator. Due to the recent changes to her world, her bond with her pokemon has given her the ability to heal them without potions or a Pokemon Center. 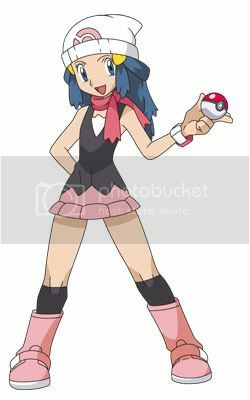 Dawn carries a backpack with a change of clothes, food for her and her pokemon, camping supplies, several empty pokeballs, pokemon tools, and her pokedex which tells her about the various pokemon she encounters. She also currently has the following Pokemon that fight for her. Bide: Piplup takes damage for two or three turns, then does double that damage to his attacker. Peck: A flying type move. Piplup's beak glows white and then he pecks his opponent 2-3 times. Bubble Beam: A water type attack. A stream of bubbles shoots from Piplup's mouth and collide with his target. Whirlpool: Piplup unleashes a spinning vortex of water and directs it as his opponent. Bounce: Buneary jumps into the air and avoids the next attack before coming down on top of her opponent. This move can stun her opponents. Mega Punch: Buneary's fluffy ears become hard fists and she slams them into her target. Dizzy Punch: Buneary extends both ears before spinning around and hitting her opponent with them. This attack can confuse the target. Ice Beam: The pokemon unleashes a focused stream of cold. This ice type move can freeze the target. Quick Attack: Pachirisu rushes in to hit the opponent. This move is very fast. Sweet Kiss: Pachirisu blows a kiss to her target, oftentimes making friends or seducing them into not attacking her. Spark: Pachirisu hurls a sphere of electricity. 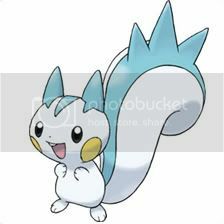 Discharge: Pachirisu releases all of its electricity, damaging anyone too close with an extreme electric attack. Tackle: Eevee rushes forward and slams into her target. Sand: The pokemon kicks up dirt or sand into their opponent's eyes, blinding them. 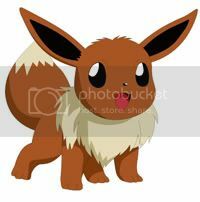 Dig: Eevee digs a tunnel underground and vanishes, avoiding one attack. Then she comes bursting up under her opponent with this ground attack.